Founding Partner, Dhillon Law Group Inc.
Harmeet Kaur Dhillon, is a nationally recognized lawyer, trusted boardroom advisor, and passionate advocate for individual, corporate and institutional clients across numerous industries and walks of life. She has been awarded the prestigious designation of Northern California Super Lawyer in business litigation by Thomson/West Publishing, an accolade reserved for the top 5% of lawyers in the jurisdiction. She is also AV peer rated by the Martindale Hubbell group on the basis of her strong legal ability and highest ethical standards. 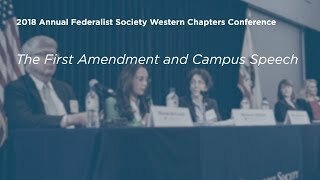 From an early interest in constitutional litigation, to a stint at the Department of Justice, federal appeals court clerkship, decade of practice at prestigious international law firms, and then founding her own law firm in 2006, Harmeet’s legal career has been marked by a passion for justice, a zeal for attacking legal challenges, and an intense sense of satisfaction in helping her clients realize creative and practical solutions to seemingly intractable problems. See Harmeet’s profile in the San Francisco Daily Journal. Following a clerkship with the Hon. Paul V. Niemeyer of the United States Court of Appeals for the Fourth Circuit, Ms. Dhillon’s practice in New York, London, and the San Francisco Bay Area has focused on federal and state commercial litigation and arbitration, with a particular emphasis on unfair competition/trade secret misappropriation, intellectual property (including trademark litigation and internet torts), complex contractual disputes, and First Amendment litigation (including defamation, trade libel, right of publicity, and anti-SLAPP motions). Harmeet’s broad experience also encompasses securities, entertainment, employment discrimination and civil rights matters. Ms. Dhillon has developed a niche practice in representing clients across California in election and campaign law matters, ranging from general compliance and ethics representation for partisan and non-partisan contenders to ballot description contests and intellectual property matters pertaining to campaign communications. She is regularly retained by candidates and campaigns for advice on complex legal issues. 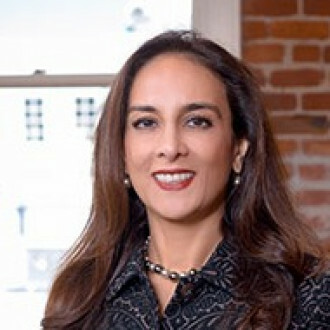 Harmeet has practiced before numerous state and federal courts and administrative tribunals across the United States, has successfully handled several trials (jury and bench), arbitrations (including international), and mediations, and has resolved many business disputes prior to the initiation of litigation. Admitted to practice law in New York and California, she has been a Solicitor of the Supreme Court of England and Wales. Harmeet’s clients at Dhillon Law Group have included e-Commerce leaders, private companies, entrepreneurs, celebrities, film and music artists, authors, advertising executives, franchisees, public utilities, educational institutions and nonprofits. She has won numerous awards and recognition for her pro bono legal work on behalf of domestic violence survivors, religious discrimination plaintiffs, civil rights plaintiffs, and political refugees.